An off-the-scalp lightening powder which can provide a fast lifting action up to 8 levels. It contains moisture-rich sorbitol crystals leaving the clients’ hair shiny, healthy and resilient. 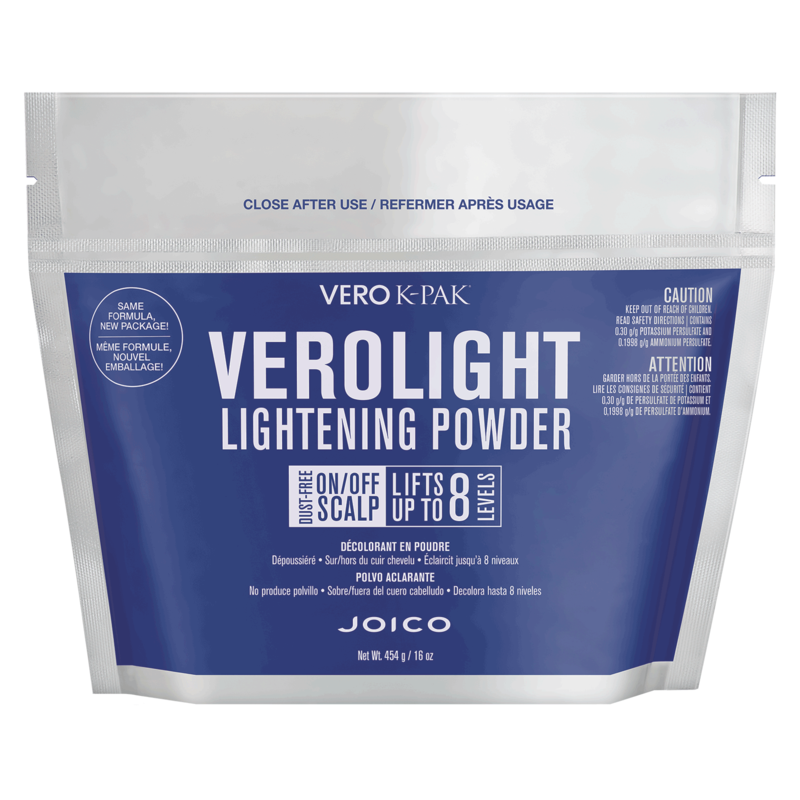 JOICO VeroLight Dust-Free Lightening Powder must be used with JOICO Vero K-Pak Color Veroxide Gentle Crème Developer. "This powder is awesome and since I have used it I wont use anything else on my clients!! Lifts well with minimal damage."